Alrighty... 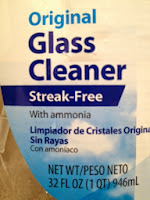 Here's another SUPER simple & cheap way to replace the toxic glass cleaner currently hanging out in your cupboard. It doesn't take much to make & does a great job! And no, it isn't too easy, cheap, & good to be true. :) In less than 5 minutes, you will be one step closer to a toxin-free home, with ingredients you already have! I really want to help make the switch to toxin-free as simple and easy as possible. This one sounds doable, right? Awesome, let's get to it! 1. In a 32 fl oz spray bottle (dump and wash out the previous bottle) mix all ingredients. 2. Shake bottle and spray on windows or mirrors. 3. Wipe with crumpled newspaper or cotton cloth. I sometimes use paper towels and that still worked fine too. You may need to mix a couple drops of liquid castille soap or liquid dish soap in some of this mixture the first time you clean the windows to remove detergent residue from the previous commercial product used. Crazy easy, right? 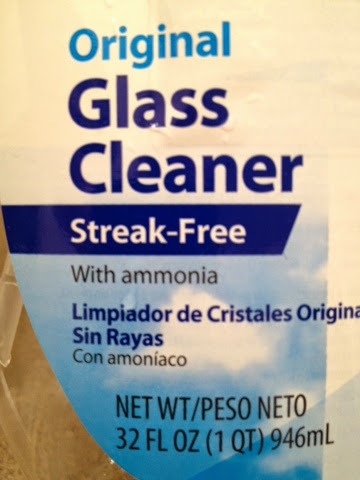 Stay tuned for more DIY toxin-free cleaners (all-purpose, oven, etc.) next week!